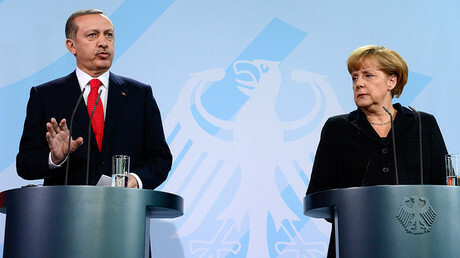 Turkish Foreign Minister Mevlut Cavusoglu has accused Berlin of putting pressure on Germany-based Turks and thus trying to influence the upcoming referendum that may dramatically increase presidential powers in Turkey. “This is systematic obstruction, and Germany is applying systematic pressure on our citizens. This is unacceptable. We always want to see Germany as a friend but Germany's systematic anti-Turkey approach does not suit our friendship,” Cavusoglu said on Tuesday, addressing Turkish people at the residence of the Turkish Consulate General in Hamburg, as cited by Cumhuriyet. The meeting was initially supposed to take place in another building, but it was closed by German authorities. “Do not give us lessons in matters such as human rights and democracy,” he stressed. 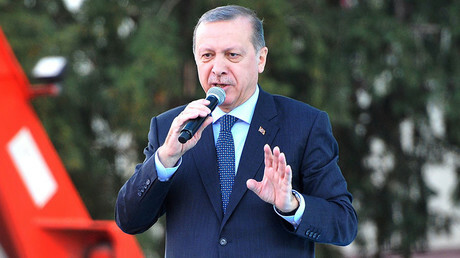 The minister said that this is not the first time that meetings of Turkish people in Germany with Ankara officials have been canceled, as Berlin is trying to change their attitude toward the referendum in April, which could significantly widen the president’s powers in Turkey. “They are blocking ‘yes’ voters and supporting ‘no’ voters in our referendum,” Cavusoglu argued. On Friday, Cavusoglu accused Germany of pursuing a policy of double standards against Turkey and said Ankara won’t be “intimidated,”Deutsche Welle reported. The comments came after the southern German town of Gaggenau canceled a visit by Turkish Justice Minister Bekir Bozdag, who was planning to give a speech in support of the referendum. A day after the meeting was canceled due to “safety reasons,” a bomb threat prompted an evacuation of the city hall. Cavusoglu again noted that Germany “gives lectures on democracy,” but at the same time violates the freedom of speech and assembly. Apart from Gaggenau, Cologne also canceled an event where Economy Minister Nihat Zeybekci was due to speak on March 5, saying the city was unable to guarantee the safety of participants on short notice. The town of Frenchen didn’t allow a rally, as the venue “excludes political events,” police said.